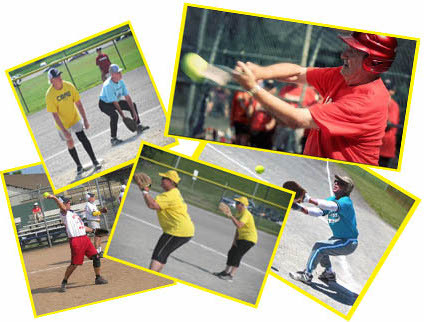 For more than 25 years the Ottawa 60+ Slo-Pitch League has provided an opportunity for men and women 60 years or better to get together for some exercise and to play a little daytime softball. We have social events and other activities, but the focus is our regular play on weekday mornings, from May to September. The game we play is a variation of 3-pitch softball. It enables even inexperienced players to enjoy success with the game. Although we have fun in a friendly atmosphere, the play on the field challenges players of all abilities.